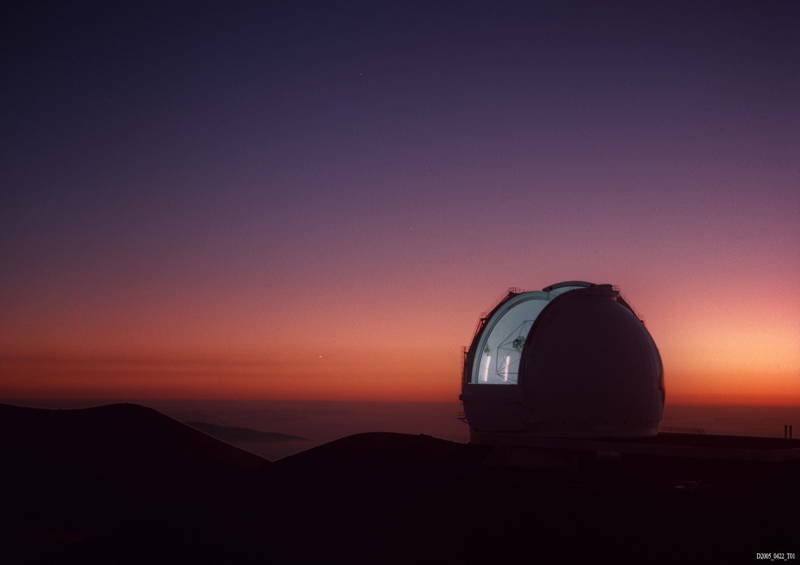 Occupying a vast 500 acres on Hawaii’s Big Island, the Mauna Kea Observatory is currently the world’s largest array of optical, infrared, and submillimeter astronomical equipment. Combined, the light-gathering ability of the telescopes on MKO is sixty times greater than the Hubble Space Telescope. Mauna Kea houses more telescopes than any other single mountain peak observatory. 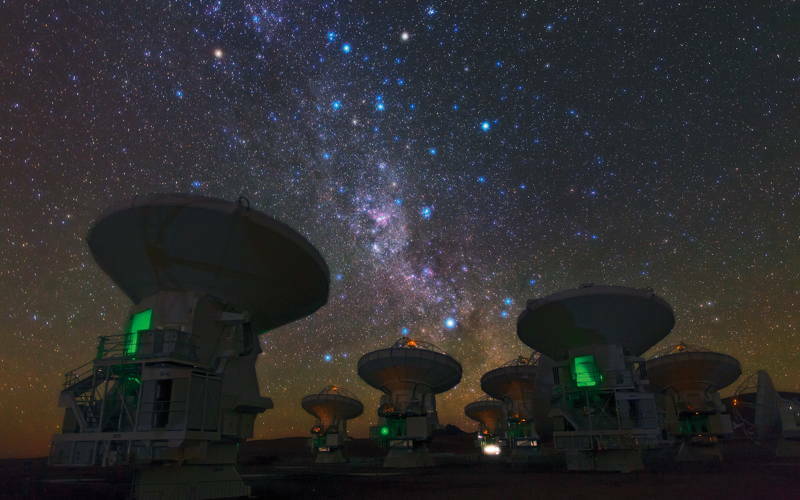 The Atacama Large Millimeter/sub-millimeter Array comprises a total of 66 radio telescopes and is located in Northern Chile’s Atacama Desert. 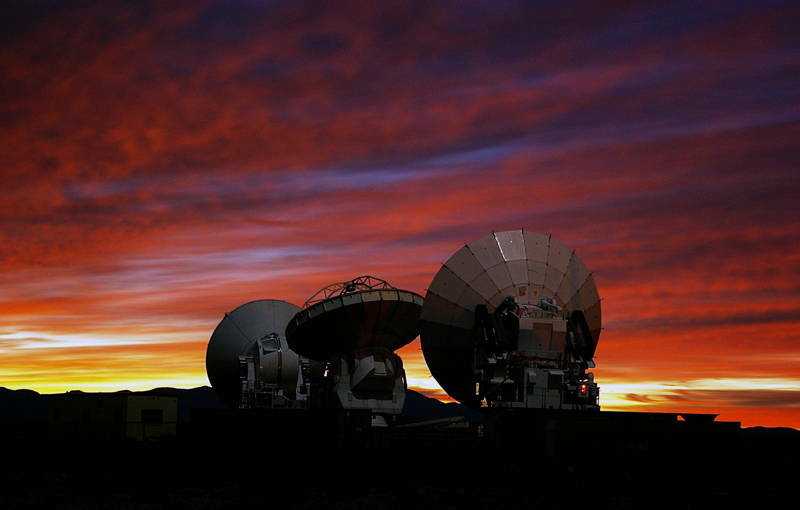 Started in 1997 as a collaborative project among American, European and East Asian facilities, ALMA hopes to provide information on the early universe as well as star and planet formation. 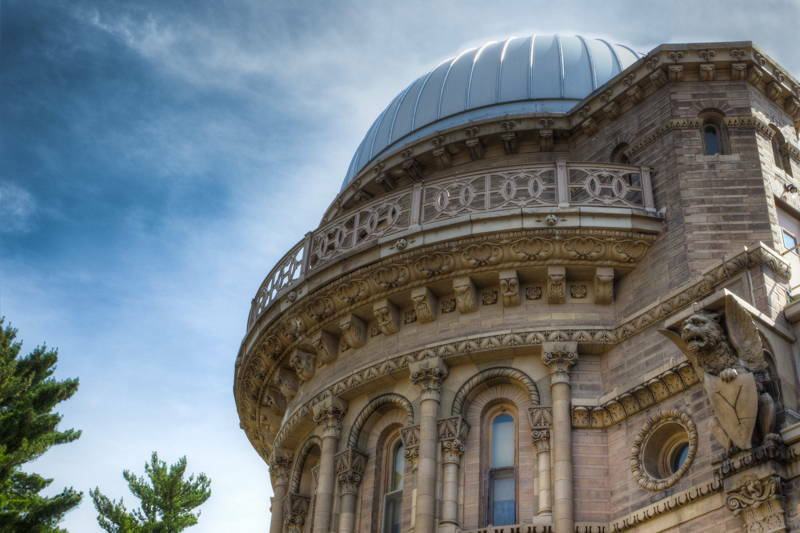 Founded in 1897 by George Ellery Hale, the Yerkes Observatory bills itself as “the birthplace of modern astrophysics”. 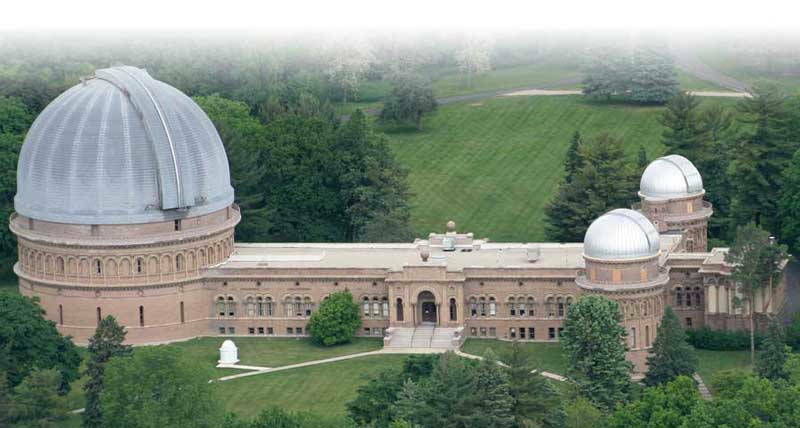 It gets its name from financier Charles T. Yerkes, who originally agreed to foot the bill for just the telescope but was eventually convinced by Hale and University of Chicago president William Rainey Harper to put up the money for the observatory as well. It cost him nearly $300,000.